Family's oral health is our top priority and we constantly try to help you in doing the same. 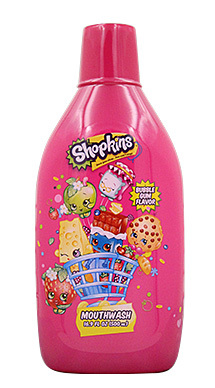 Shopkins Mouthwash is the right product for kids and adults which gives cavity protection and strengthens teeth than brushing alone. It also helps in removing particles that missed by brushing alone. Shopkins Mouthwas has bubble gum flavor that kids and adults will love.